While G-Clan Booster 3 was perceived quite negatively in the eyes of players, has G-Clan Booster 5 been perceived pretty okay for what it is. Except for…ratios of one specific rarity. The specific rarity ratio I’m talking about is the SP Pack. It seems to be a common problem that players pull 1 SP Pack of any kind, or 1 Chouchou SP Pack + 1 SP Pack of any kind. Basically, you either pull 11 or you pull 18 SPs in a carton. Of course with card games, nothing is guaranteed. 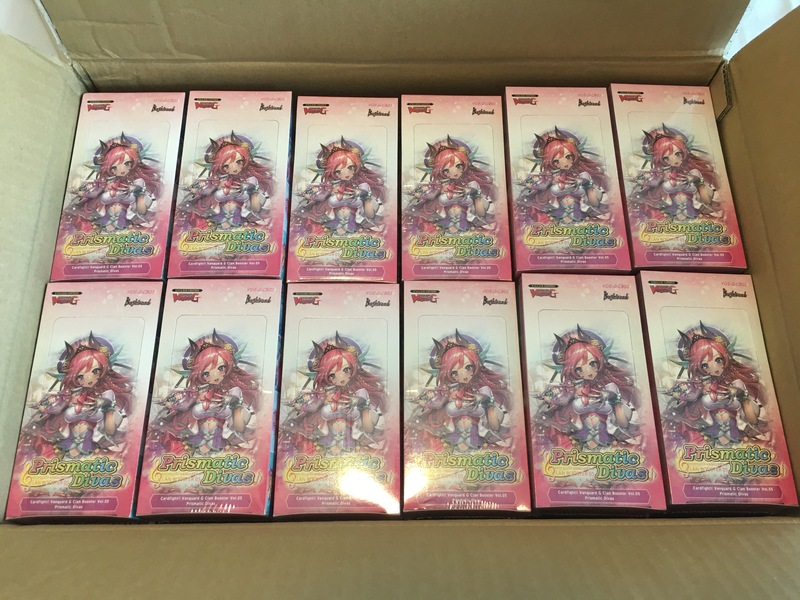 But this is Bushiroad, with Bushiroad you get a pretty set amount of cards per carton (otherwise why would you even buy a carton), so this being so off is frustrating. … but bigger than the small playmats by Bushiroad. Am I salty: Probably. Not as much as yesterday. Now I’m simply disappointed. I did pull some sweet SPs, but two SP Packs are always better than one SP Pack. Of course Bushiroad can just go: ¯\_(ツ)_/¯. But I’ll be honest with you here, a carton is too expensive to just go /shrug. I always pull the PRISM in SP, and the cover card in the highest rarity.